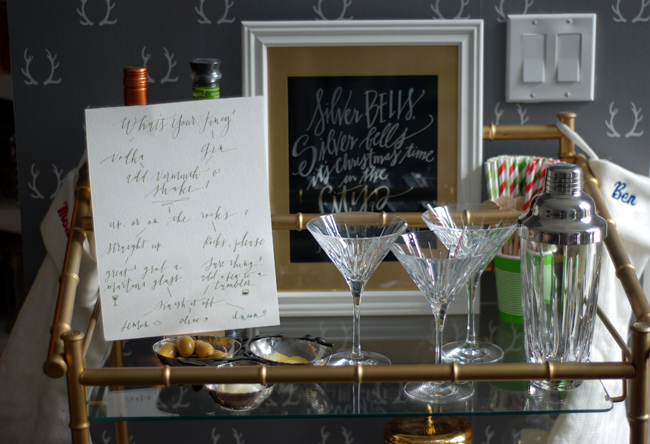 A fun alternative to mixing a big batch of a signature cocktail is to have a make-your-own drink station. 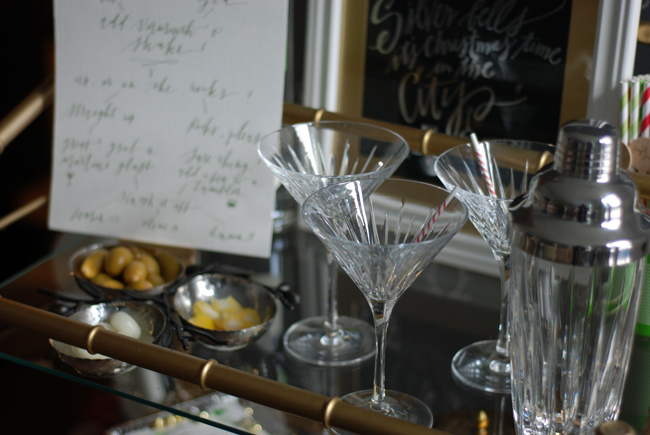 Try a martini bar and let your guests make their drink exactly the way they like it. People love to get involved in making their own drinks, especially when you have all the right accessories and a fun map like one this to follow. 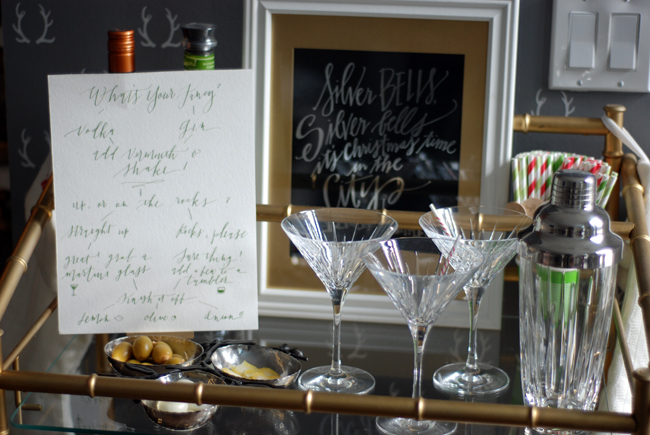 This type of setup is ideal if you're having a smaller party or an "open house" where not everyone arrives at once. For a larger group you can still have a station like this, as long as you have other options like beer and wine readily available to avoid a bottleneck. 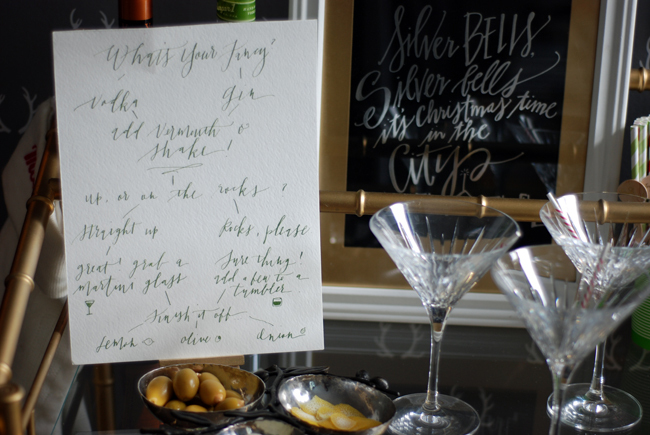 Here's what you need - Liquids: Gin, vodka, vermouth. 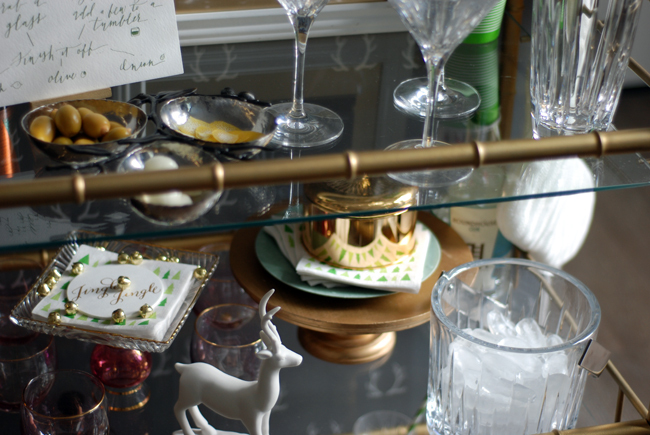 Accessories: martini glasses, tumblers, cocktail picks, an ice bucket, a shaker. 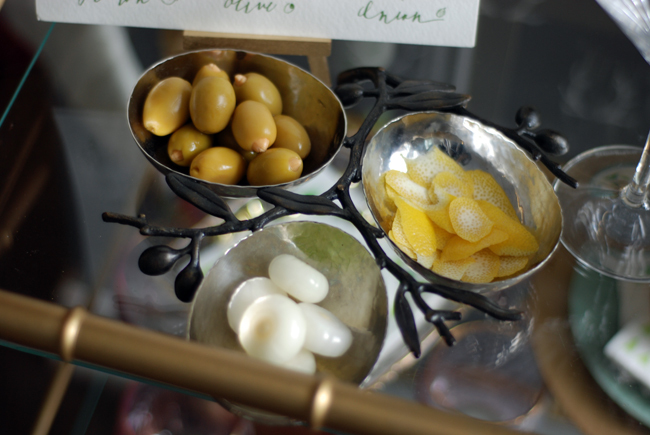 Garnish: olives, onions, and lemon rind. That's it! It also helps to have a sign like this one, designed by me and hand drawn by Caitlin of Charlie Whiskey. Scroll down for more sources. I LOVE this, Monica!! AND to top it all off...Silver Bells is my favorite Christmas song! !